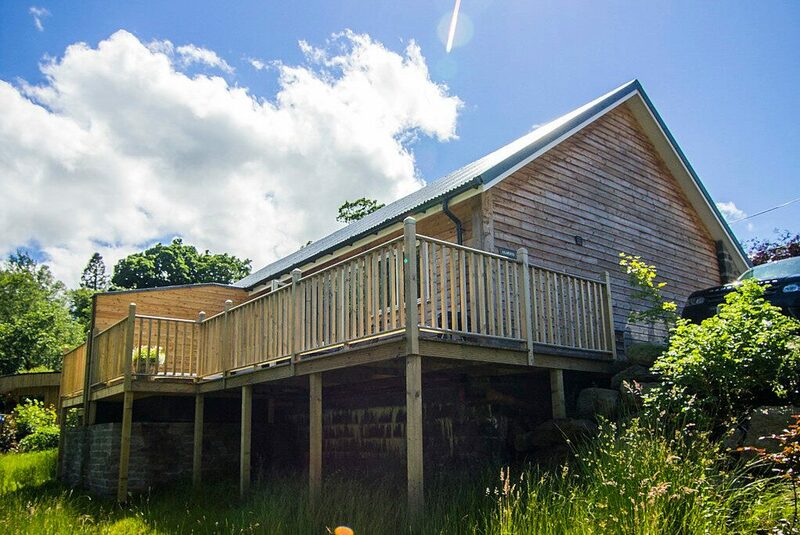 Almond is a lovely, luxuriously appointed Scottish larch and stone clad holiday cottage for two people located on the banks of the river Lochay on the outskirts of Killin in the Highlands of Scotland - the perfect retreat for a romantic getaway! With picture perfect river views to enjoy from the hot tub on the decking in front of the semi detached cottage, Almond has been furnished luxuriously and is kept warm with cosy underfloor heating for holiday guests to enjoy. The cottage has a lovely bedroom with oak king sized bed and memory foam mattress, and has a stylish ensuite bathroom with bath and walk in power shower. There is a brand new open plan kitchen with all the modern conveniences, and a cosy living, dining area with stunning views over the river. 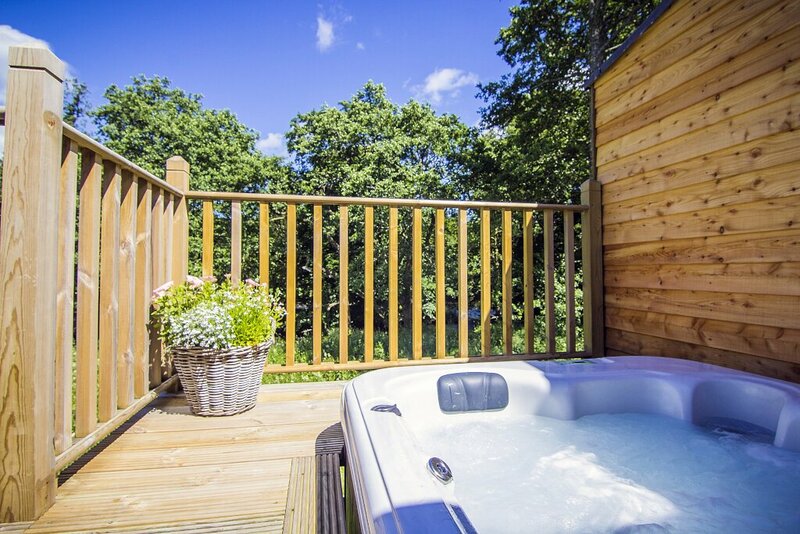 Outside, there is a wooden decking area with a bubbling hot tub where guests can relax. 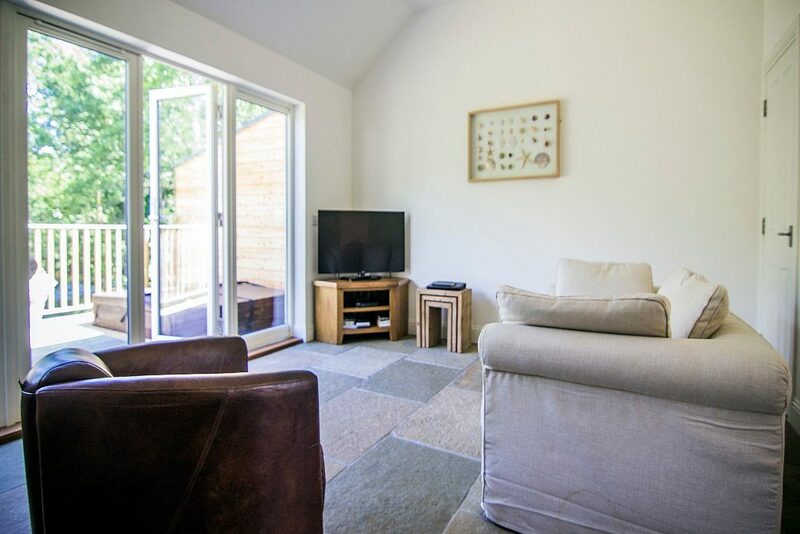 Beautifully designed with lovely furnishings, the cottage offers all the modern conveniences for a comfortable stay, including wifi, TVs and dvds, stereo, books and games. 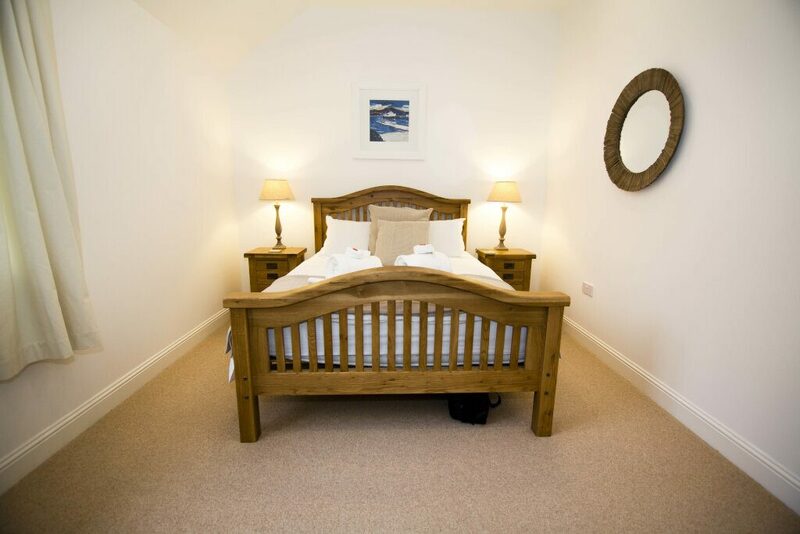 The cottage itself is located conveniently close to the Killin golf course and the village inn which offers discounts to our guests, and also to the local amenities of the village, with shops and restaurants within walking distance. 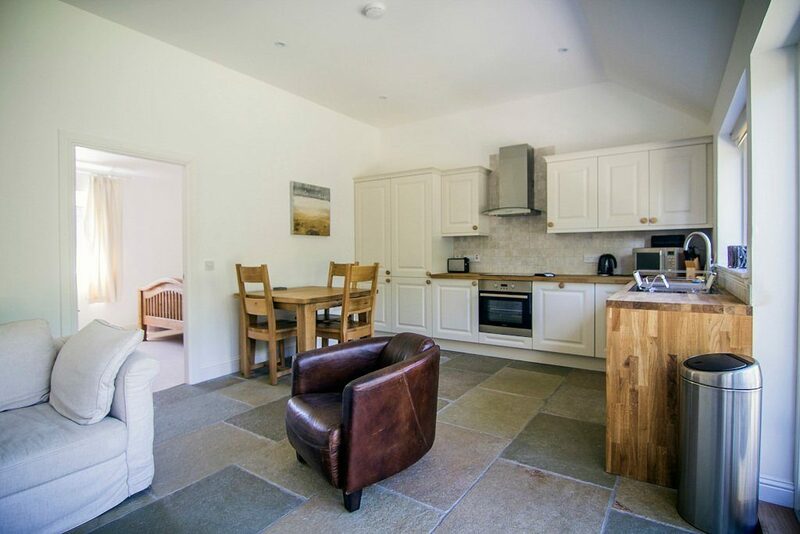 Located on the western shore of Loch Tay in the village of Killin, The Almond Cottage is situated within walking distance of several great restaurants, shops and bars. Absolutely perfect weekend. Ideal location for a private relaxing getaway. The house is amazing and is equipped with everything you could possibly need, sparkling clean and we loved the extra luxuries such as robes and wine. We will definitely be returning to our favourite Air BnB accommodation.